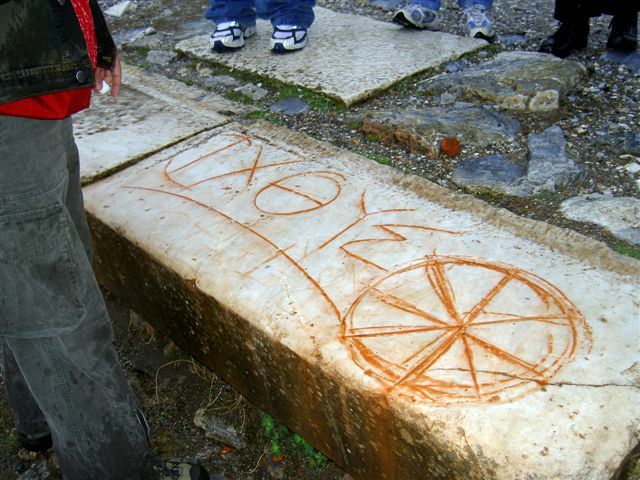 Image: Early Christian Ichthus circular symbol in Ephesus. The abbreviation Ichthus is believed to be can acronym for Ἰησοῦς Χριστός, Θεοῦ Υἱός, Σωτήρ, "Jesus Christ, Son of God, Savior." I have posted the next installment in the series through Eusebius's The Ecclesiastical History, adding book 1, chapter 3 (Listen here). In this chapter, Eusebius reflects on the name “Jesus” and the title “Christ” (he takes both to be titles) and their OT background. He contends that Moses used the title “Christ” in reference to the High Priest and he sees significance in the fact that his successor was named “Jesus” or Joshua. At one point he refers to Jesus as “the divine and heavenly Logos, of the world, the only High Priest, of all creation, the only king, of the prophets the only archprophet of the Father.” This expresses the idea of Christ as holding a threefold office of Prophet, Priest, and King [here ordered as Priest, King, and Prophet]. He later offers as a proof for Christ’s superiority the success and spread of Christianity, noting that he “is called Christ among all men throughout the whole world; that under this title he is confessed and borne witness to by all, and is mentioned thus by Jews, Greeks, and barbarians; that until this present day he is honoured by his worshippers throughout the whole world as king, wondered at more than a prophet, and glorified as the true and holy High Priest of God….” Again, see the threefold office stressed. As previously noted, we must examine Eusebius’s Christology with care, keeping in mind that he was accused of Arian tendencies. I’m still working my way again through Michael Kruger’s Canon Revisited (Crossway, 2012). Lots of insights are gathered together in this book. The Gospels parallel the narrative material in the Pentateuch, declaring the great “salvific acts” of God. They are especially like Exodus, as they present Jesus as a new Moses. Acts is parallel to the historical books and their descriptions of the covenant people’s movement into new lands. The Pauline and General epistles are like the prophetic books, even bringing “covenant lawsuits” against the people for violations of the covenant. Finally, Revelation is parallel to the apocalyptic books of the OT. First, the NT does not seem to have a parallel to the wisdom literature, though I suppose on might suggest the Sermon on the Mount (Matt 5—7) or James as a parallel to Proverbs. Most strikingly, it does not have a parallel to the book of Psalms, or, perhaps better yet to say, it does not feel compelled to replace the book of Psalms with its own. The Psalms are its Psalms. Second, as Kruger acknowledges in another place (see p. 155), the NT books do not seem to have circulated at the earliest stages all together as a 27 book unity as we now typically know them (or as they have been gathered in codices since at least the fourth century). Rather, as David Trobisch in The First Edition of the NT has argued, they circulated earliest on primarily as four distinct collections: Gospels, Acts and the General Epistles (the so-called Praxapostolos), the Pauline Epistles, and Revelation. 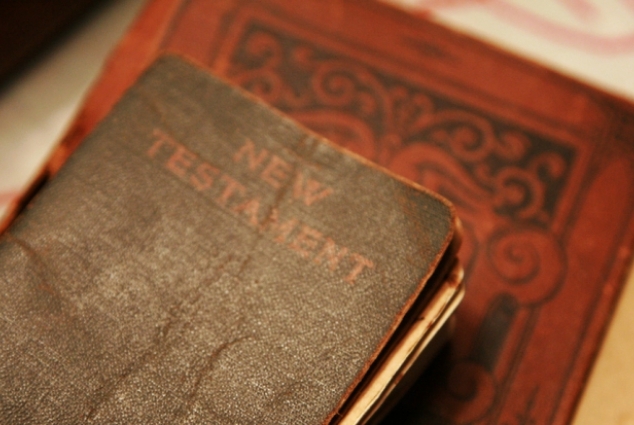 Still, the "New Testament" is clearly meant to be taken as in continuity with the "Old Testament," to form one unified body of Christian Scriptures. I just posted WM 118: Agros Church Podcast on Confessional Text to sermonaudio (listen here). 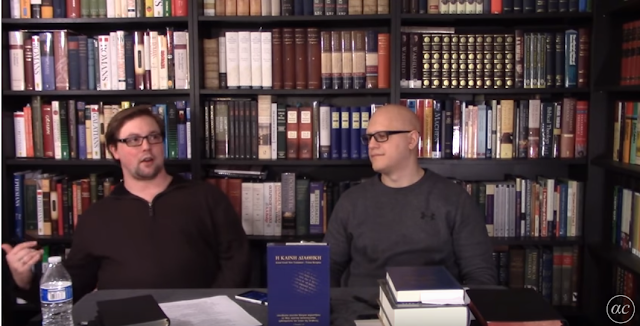 In this episode, I am sharing the audio of a video podcast posted to youtube.com last week (on 2/22/19) by Dane Johannsson and Taylor DeSoto, elders at Agros Church in Gilbert, Arizona (Be sure to check out the book collection in the background!—also check out my blog post on visiting Lloyd Sprinkle’s library). The Confessional Text is still a minority view, even in conservative Reformed circles, but it is slowly growing, and for that I am thankful. Could this be a harbinger of other Reformed men who are beginning to see the weaknesses and inconsistencies of embracing the modern critical text [ the “Young, Text-less, and Reformed”]? I have posted the next installment in the series through Eusebius's The Ecclesiastical History, adding book 1 chapter, 2 (EH1.2). Listen here. Eusebius reflects on Christology, especially how Christ appeared within and was anticipated by the OT writings. Reminder: We must be cautious in understanding Eusebius’s Christological reflections given his tendencies toward Arianism. Nevertheless, this chapter shows the high view early Christians had for the Old Testament. He defends Christianity as having ancient roots. He points to places in the OT where the Christ is anticipated. He notes how Christ was spoken of by Moses at creation: “let us make man in our image” (Gen 1:26). He calls attention to theophanies, like the Lord appearing as a man to Abraham at the oak of Mamre, as an angel to Jacob, as the captain of the angelic host to Joshua, in the burning bush to Moses, and was written about as Wisdom personified by Solomon. This also fulfilled Daniel’s vision of the Ancient of Days and the Son of Man. Image: The Pilate Stone, Israel Museum, Jerusalem. 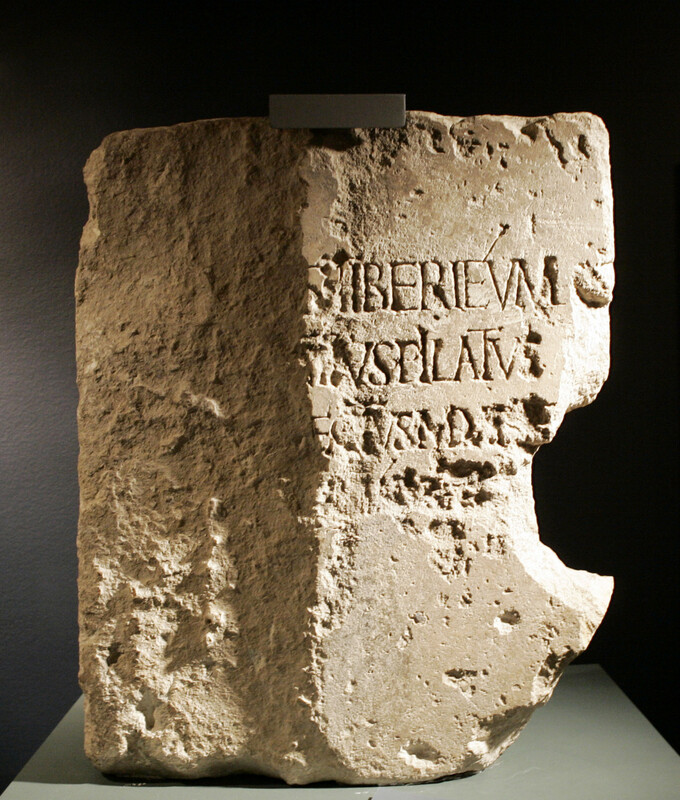 This damaged, carved limestone block was found in Caesarea Maritima in 1961 and dates to the first century. It includes the name of Pilate, Roman of governor Judea from AD 26-36 and the man who ordered Christ's crucifixion. John 18:37b: Everyone that is of the truth, heareth my voice. John 18:28a: Pilate saith unto him: What is truth? The Lord Jesus tells Pilate: “Everyone that is of the truth heareth my voice” (v. 37b). Christ is obviously not speaking merely about an audible voice. He is speaking here of those who receive the effectual call of God. Here is the mystery of divine election. How many people are looking for truth and never finding it, though it is right before them? How sad to see men seeking truth in spiritual dead ends. You won’t find it in a Buddhist prayer wheel, in self-help books, in rosary beads, in hedonism, in patriotism, in travel, in shopping, in recreation, or in anything else. Several years ago the Washington Post ran a story about a world renowned violinist named Joshua Bell who took his 3.5 million dollar violin to a metro station in DC and offered an impromptu concert for free to those who passed by. The paper reported that this incredible gift was met by those who passed by with disinterest and boredom. Bell never drew a crowd, was not given a single instance of applause, and at the end of the day left with a paltry $32.17 (for this story, see Kruger, Canon Revisited, 147-148). The Post did not report this, but we might well imagine that someone could have asked Bell that day, What is music? Friends, Christ is put before us today in his Word, read and proclaimed. He has said, “Everyone that is of the truth heareth my voice” (v. 37). Will we recognize and acknowledge him to be the Way, the Truth, and the Life, that by him we might come to the Father? I just posted the first installment in the new series of reading through Eusebius's Ecclesiastical History with book 1 chapter 1 (EH.1.1). You can listen here. Eusebius introduces his work and sets out his plan to offer a survey or the period from the life of Christ to his present time (early fourth century). He aims to describe the great leaders of early Christianity. He also aims to describe those who have promoted error, including Gnostics. He also aims to describe opposition to the Christian movement from both Jews and Gentiles. He notes that he has collected and will make use of historical sources and memoirs of those from the past (those who have held up “the torch” in the “watchtower”). Trust this finds you well. 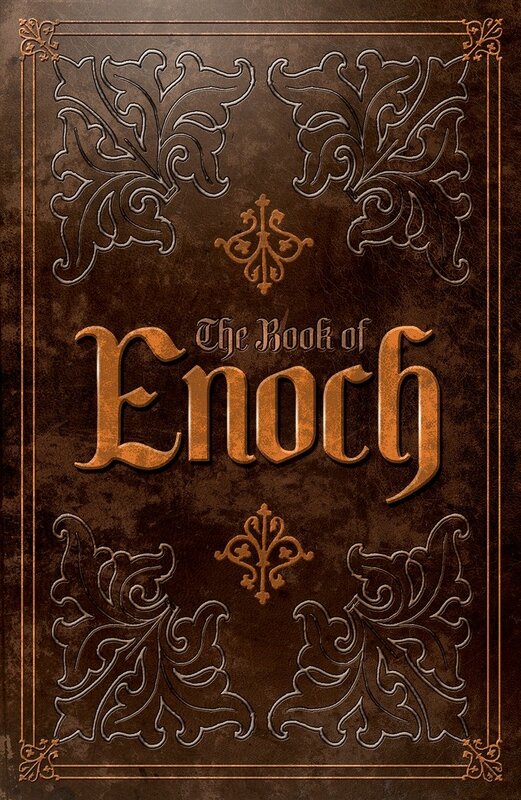 I wondered whether in your NT studies you have come across good resources about whether Jude is quoting from the apocryphal book of Enoch and Moses in his letter? One is Jude 14-15 is a quotation of an apocryphal writing called The Book of Enoch. Calvin thought it was just oral tradition. Lenski makes it a quotation though. My 9 year old son is perplexed by this one! I don't have any special expertise on Jude, but the typical line of thought, as I understand it, is that the citation in Jude 9 about the dispute with Michael the archangel over the body of Moses is from an apocryphal book known either as The Testament of Moses or The Assumption of Moses (and these may be two distinct works) that now only exist in fragments or from patristic quotations. In the margin of the Nestle-Aland 28th ed. Greek NT the note reads "AssMosis?" Calvin says it might have come from "an apocryphal book" or "from the tradition of the [Jewish] fathers." He goes on to speak of how likely it is that Moses's body was indeed buried in obscurity, but that after this Satan would have wanted to make it known as an object of "superstition." As for Jude 14-15 this seems to be directly taken from 1 Enoch. The margin of the Nestle-Aland 28th ed. cites 1 Enoch 1:9; 60:3; and 93:3, as well as another Jewish apocryphal work, Jubilees 7:39. 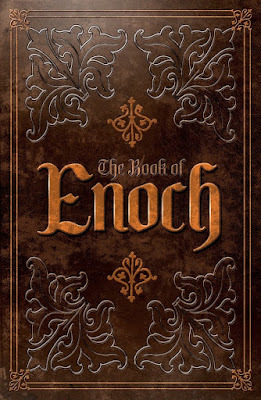 I have an English translation copy of 1 Enoch and 1:9 reads: "And behold! He cometh with ten thousands of his holy ones to execute judgment upon all, and to destroy the ungodly: And to convict all flesh of all the works of their ungodliness which they have ungodly committed, and of all the hard things which ungodly sinners have spoken against Him." Calvin indeed says that this prophecy was more likely "unwritten" than taken "from an apocrphyphal book." At the time he wrote the 1 Enoch was probably unknown in the West, but it was known in the East, especially in Ethiopia. Is it because these quotations come from non-Biblical books? There are other examples of quotations from non-Biblical books and even ones that are completely lost to us now in the Bible. Last Sunday in our services we were reading Numbers 21 in which reference is made to "the book of the wars of the LORD" (v. 14), a book we no longer have. Paul cites Greek philosophers/poets (Acts 17:28; Titus 1:12). These quotations and ones like them in Jude 9,14-15 do not mean that these quoted works themselves were inspired. It only means that those portions when quoted within the Biblical books are inspired, whether in Numbers, Acts, Titus, or Jude, etc. Yesterday, on the February 19, 2019 episode of his webcast The Dividing Line, apologist James White issued a public challenge for us to debate him at a proposed pre-conference meeting before the upcoming Text and Canon Conference to be held at Christ Reformed Church outside Atlanta, Georgia on Friday-Saturday, October 25-26, 2019. Furthermore, if James White had a sincere, collegial interest in participating, it would have been more appropriate to have contacted either of us privately, so that we could have explained to him the goals and purposes of this conference. Second, Alpha and Omega Ministries and Jeff Riddle have already been contacted earlier this year by a church in Roanoke, Virginia asking about interest in an academic dialogue or debate with James White and Jeff Riddle on the topic of text criticism, to be hosted at a local theological institute. Jeff Riddle expressed openness to the possibility of participation, but Alpha and Omega Ministries reportedly questioned whether there would be significant enough interest in such an event to warrant James White’s participation. If James White is still interested in a public academic discussion with Jeff Riddle in the Spring of 2020 on the topic of text criticism, we encourage Alpha and Omega Ministries to consult with the church that has already contacted them to work out the details. Third, although we do not believe that it would be worthwhile to change our conference plans to accommodate James White’s proposal, we are open to sincere and forthright conversation with James White about the important issues related to the text of Scripture. We believe that such a conversation might well be addressed through a thoughtful written dialogue. We suggest that this exchange might follow the following format: Robert Truelove, Jeff Riddle, and James White would each write a 5-6,000 word essay on the topic. These essays would then be shared among the three, and each would write a 2,000-3,000 word response to the other two participants. These responses would also be shared among the three, and then each would write a final 1,000 word conclusion. The result would be a 25-30,000 word booklet that would address this topic in what we believe would be a more thorough and meaningful manner. We invite James White to contact us at his convenience to work out the details on this proposed written exchange. I am beginning a new occasional series of readings from and brief notes and commentary upon Eusebius of Caesarea’s The Ecclesiastical History (EH).I plan to read consecutively through the ten books, chapter by chapter, one chapter at a time. At the end of each chapter’s reading, I will offer a few observations on that chapter. I have posted the first installment to sermonaudio.com, in which I present a brief biography of Eusebius. You can listen to here. A biography of his life was written by Ascius, his successor as bishop of Caesarea, but it is no longer extant. Eusebius was born in Palestine c. 260. His parents and place of birth are unknown. He is often referred to as Eusebius of Pamphilius. 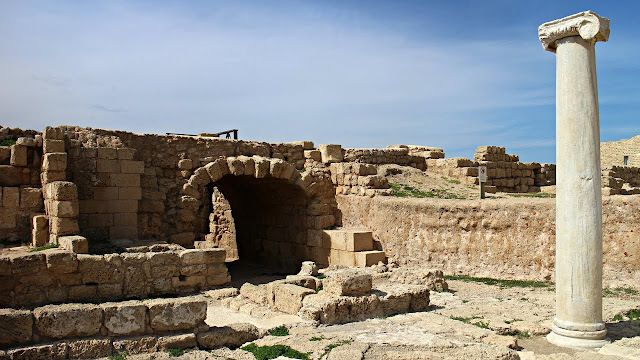 This recognizes his close relationship with Pamphilius, a noted presbyter in Caesarea, a student of Origen and founder of a large library at Caesarea. Eusebius may have been the son, nephew, friend, or servant of Pamphilius (Lake, x). 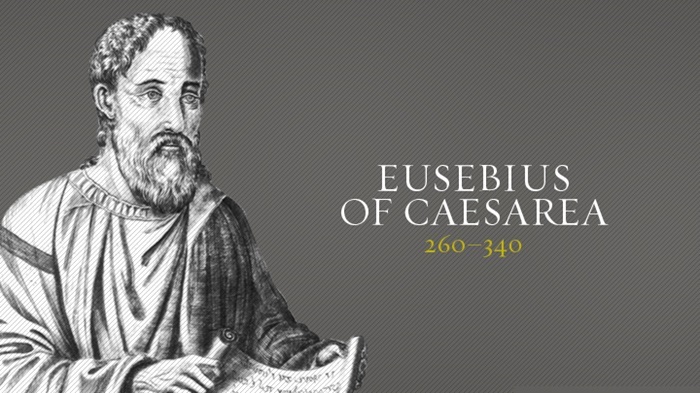 Eusebius fled to Egypt and was imprisoned there in 309, during the Diocletian persecution, which lasted c. 303-313. His mentor Pamphilius died as a martyr in 309. He became bishop of Caesarea c. 315. He was present at the Council of Nicea in 325 and served as “chief theological adviser to Constantine” (Lake, xi). He was suspected of Arian tendencies, but he sided with the majority against Arius at Nicea as part of the “moderate” party. Still, he was a lifelong critic and opponent of the Athanasian party. In 331 he was invited to become bishop of Antioch but refused the offer. His patron Constantine died in 337. Eusebius then died on May 30 of either 339 or 340. Though influential in church and politics “his literary achievements are his chief claim to fame” (Lake, xiii). Nevertheless his literary style has been described as “poor” (see Oxford Dictionary of the Christian Church, 481). Among his many publications were Martyrs of Palestine (an account of the Diocletian persecution), Life of Pamphilius, Life of Constantine, Defense of Origen (with Pamphilius), Chronichon (a universal history with a table of dates), Onomasticon (on Bible names and topography), Preparation for the Gospel and Demonstration of the Gospel (apologetic works), as well as commentaries on Psalms and Isaiah. His greatest work, however, was his Ecclesiastical History or Church History in ten books, which tells the story of the Christian movement from the age of the apostles up to Eusebius’s own times. This is among the most important resources for understanding the early years of Christianity and earned Eusebius the title of being the “Father of Church History.” It is especially valuable, because the author draws upon much earlier sources and materials. It was likely produced in several editions as more material was added, with the work reaching its final form c. 323. Lake nevertheless observes, “In some ways he was the last and greatest of the Apologists….” (xvi). Kirsopp Lake, “Introduction” to Eusebius, The Ecclesiastical History, Vol. 1, Loeb Classical Library (Harvard University Press, First published, 1926): ix-lvi). “Eusebius” in F. L. Cross and E. A. Livingstone, Eds., The Oxford Dictionary of the Christian Church (Oxford, 1983): 481. D. J. Bingham and C. A. Graham, “Eusebius of Caesarea” in Donald K. McKim, Ed. Dictionary of Major Biblical Interpreters (IVP Academic, 2007): 421-426). I was preaching yesterday on John 18:28-40, including John’s brief (in comparison to the Synoptics) account of the release of Barabbas in vv. 39-40. In my parallel reading of Calvin’s commentary on the passage, I was struck by how Calvin somehow pulls an application from these verses related to the Regulative Principle (RP). Calvin notes that the custom of releasing a prisoner during the Passover “was done, no doubt, in order the honour the sacredness of the day, but was, in reality, nothing else than a shameful profanation of it.” He cites Proverbs 17:15 as declaring that the guilty are an abomination before God. This reminds me of the title of the G. K. Beale edited book, The Right Doctrine from theWrong Texts? 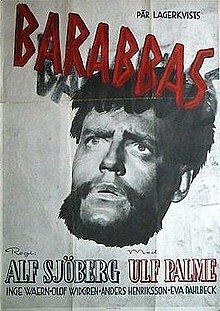 Though the Barabbas account is related to an extra-biblical Passover tradition, it’s hard to believe that implications for the RP were part of the authorial intent in John 18. I’ve noticed this kind of thing in several other places in Calvin’s commentaries and probably reflects what was often and uppermost in his mind during the course of his reforming ministry. I wanted to do a follow up to recent discussion in WMs 114 and 115 spurred by comments made by JW in his “lecture” on the TR, aka twitter exchange review on Revelation 16:5 and the supposed conjecture made there by T. Beza in his 1598 Greek text. I reject all conjectural emendations. I do not believer there is any need for conjectural emendations whatsoever…. CBGM has introduced conjectural emendations. I reject it. This seemed to me to be inconsistent, since it is essential and foundational to the methodological approach of modern text criticism, based as it is on the assumption that the text of Scripture has been hopelessly corrupted in the course of its transmission and now must be reconstructed by modern scholars. See the classic subtitle of Metzger’s classic The Text of the New Testament: Its Transmission, Corruption, and Restoration (first edition, 1968). “The utmost result that can be obtained under this condition [i.e., given the existence of textual variants] is the discovery of what is relatively original: whether the readings thus relatively original were also the readings of the autograph is another question which can never be answered in the affirmative with absolute decision except where the autograph itself is extant, but which admits of approximate answers varying enormously in certainty according to the nature of the documentary evidence for the text generally” (p. 66, par. 85). “In discussing the corruption of texts antecedent to extant documents, the forms in which it presents itself, and the nature of the critical process by which it is affirmed, we have reserved till last a brief notice of the critical process which endeavors to remedy it, that is, Conjectural Emendation…. The evidence of corruption is often irresistible, imposing on an editor the duty of indicating the presumed unsoundness of the text, although he may be wholly unable to propose any endurable way of correcting it, or have to offer only suggestions in which he can place full confidence” (p. 71, par. 93). “The place of Conjectural Emendation in the textual criticism of the New Testament is however so inconsiderable that we should have hesitated to say even this much about it…..” (p. 72, par. 95). “The way has now been cleared for the final question,—Is it or is it not reasonable to expect that in any considerable number of cases the true reading has now perished? Have we a right to assume that the true reading always exists somewhere among existing documents? The question is often foreclosed on one or both of two grounds which in our judgment are quite irrelevant. First, some think it incredible that any true words of Scripture have perished. In reply it is a sufficient argumentum ad hominem to point to the existence of various readings, forming part of the various texts accepted for long ages, and the frequent difficulty of deciding between them, even though we say nothing of difficulties of interpretation: on any view many important churches for long ages have had only an approximately pure New Testament, so that we have no right to treat it as antecedently incredible that only an approximately pure New Testament should be attainable now, or even in all future time. For ourselves we dare not introduce considerations which could not reasonably be applied to other ancient texts, supposing them to have documentary attestation of equal amount, variety, and antiquity. Secondly, the folly and frivolity of once popular conjectures have led to a wholesome reaction against looking beyond documentary tradition….” (pp. 276-277; par. 361). “It will not be out of place to add here a distinct expression of our belief that even among the numerous unquestionably spurious readings of the New Testament there are no signs of deliberate falsification of the text for dogmatic purposes” (p. 282; par. 369). “The text of this edition of course makes no pretension to be more than an approximation of the purest text that might be formed from existing materials.” (p. 284; par. 371). “There is no royal road to the ascertainment of the true texts of ancient writings” (p. 286; par. 373). “Before we close our discussion of the praxis of criticism, therefore, we must explicitly recognize the legitimacy and duty of examining the text of the whole New Testament with the most scrupulous care, with a view to discovering whether its transmission has been perfect; and of appealing to internal evidence to suggest and settle for us the true text in all cases of variation where the evidence is hopelessly in conflict, and in all cases where, the absence of variation, an examination of the text has resulted in leading us to suspect corruption…. The technical name given to this extension of criticism is ‘conjectural emendation,’ which is meant to describe it as a process which suggests the emendation which the text is shown either by the presence of irreconcilable variations or by internal considerations to need, from the conjecture of the mind, working on internal hints… (p. 207; see pp. 207-210). “The method of textual criticism that has been generally practiced by editors of classical Greek and Latin texts involves two main processes, recension and emendation. Recension is the selection, after examination of all available material, of the most trustworthy evidence on which to base a text. Emendation is the attempt to eliminate the errors that are found even in the best manuscripts” (205). “The classical method of textual criticism regularly involves, as was mentioned at the beginning of this chapter, the exercise of conjectural emendation. If the only reading, or each of several variant readings, that the document supply is impossible or incomprehensible, the editor’s only remaining resource is to conjecture what the original reading must have been” (226-227). “In their edition of the Greek New Testament, Westcott and Hort marked with obeli about 60 passages that they (or one of them) suspected involve a “primitive error,” that is an error older than the extant witnesses, for the removal of which one is confined to conjectural emendation” (229). “One must admit the theoretical legitimacy of applying to the New Testament a process that has so often been found essential in the restoration of the right text in classical authors. But the amount of evidence for the text of the New Testament, whether derived from manuscripts, early versions, or patristic quotations, is so much greater than that available for any ancient classical author that the necessity of resorting to emendation is reduced to the smallest dimensions” (230). “If examining the available MSS (manuscripts) fails to indicate satisfactorily the original text of a certain word or phrase, a scholar may resort to an ‘educated guess’ known as a conjectural emendation. In the case of literature where there are only a few extant MSS this procedure may sometimes be necessary. When a larger number of MSS are available, as in the case of the New Testament, conjecture is less often, if ever, necessary, and tends to become what Kenyon called, ‘a process precarious in the extreme, and seldom allowing anyone but the guesser to feel confidence in the truth of its results’” (5). 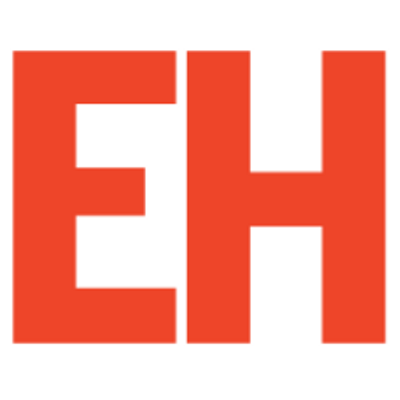 Clearly, conjectural emendation is a standard aspect of modern text criticism as it has been typically practiced. My question, however, is when the making of conjectural emendations, as practiced, by modern text critics, became an accepted part of text criticism. Was this something that would have been done in pre-modern era? I recently ran across a possible example of a conjecture in Calvin’s commentary on John 18:1 where he questions what the proper article should be for the noun kedrōn. Would Beza have ventured to make a pure conjecture? What does Erasmus tell us? To get a sense of the importance of having a Greek manuscript to support a reading, and thus not having to rely on a bare conjecture, recall the controversy over Erasmus’s omission of the CJ in the first two editions of his TR (1516, 1519). Erasmus (1466-1536) was criticized for this omission by the Protestant Edward Lee of England and the RC Jacobus Stunica of Spain. Why had Erasmus not included it in those early edition? Because it did not appear in the Greek manuscripts he consulted in preparing them. Grantley McDonald observes, “Had he found one Greek manuscript with the comma, he certainly would have added the missing phrase from that one textual witness, but since that had not happened, he had no choice, but to indicate that the comma was absent from the Greek manuscripts available to him” (Biblical Criticism in Early Modern Europe, 19). NB: This is not to affirm the legendary “rash wager” anecdote! The point is to say that Erasmus wanted to base his text on an extant Greek manuscript, and he eventually restored the CJ in the third edition of his TR (1522) when he was satisfied that he had found it. What did Beza really say about Revelation 16:5? The question now is what would have been the scholarly approach of Theodore Beza (1519-1605)? Would he have held a position closer to Erasmus (Greek ms. needed to support text) or Westcott & Hort (pure conjectural emendation justified in rare and extreme cases)? Modern writers seem to assume that Beza made a pure conjectural emendation at Revelation 16:5 in preferring the reading ho esomenos, rather than ho hosios. It is so identified by Hills in The King James Version Defended (208). How is it be translated? What did Beza mean? The implication: Beza did not simply make a pure conjecture, but he had taken this reading ex vetusto bonae fidei manuscripto codice, “from an ancient manuscript [hand-written Greek] codex.” What was this codex? We do not know, but this challenges the whole notion that Beza’s text at Revelation 16:5 was merely a hypothetical conjecture. First, conjectural emendation is a necessary aspect of the reconstructionist modern historical critical method. It is based on the notion that the “true text” is irretrievably lost and can, therefore, at points, only be hypothetically approximated. To affirm the use of that method and then to reject the use of such conjectures is inconsistent. Second, based on Beza’s notes, a question might be raised as to whether his reading at Revelation 16:5 was, in fact, a true conjectural emendation.